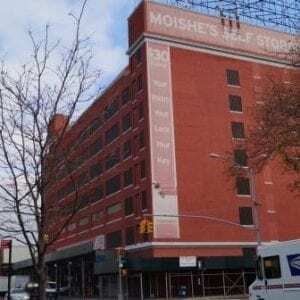 Moishe’s Self Storage offers some of the most affordable and high quality self storage units Bronx NYC has to offer. Here at Moishe’s Self Storage, we strive to meet the individual storage needs of every customer. With a variety of storage unit sizes, Moishe’s Self Storage has something for everyone. Whether you are looking to store a few valuable items for a few years, or your entire company is moving locations over the next two weeks, we have the right furniture storage options for you, at the right price! Our professional and knowledgeable representatives are trained to help you choose a storage unit plan that meets your unique needs. Moishe’s Self Storage has the most affordable storage prices in the NYC area to date! Having high quality storage space that is clean, secure and well maintained does not need to break the bank. With storage units starting as low as $29, we can find a storage option that works for your budget. Are you looking for something a bit larger? Moishe’s regularly meets the needs of both residential and commercial clients for an affordable price. If your business is moving locations, and you need a temporary location to store your equipment, documents, or office supplies, look no further! Moishe’s can make your company’s transition stress-free and financially feasible. We don’t expect a pad-lock to be the only security measure between your valuable belongings and a burglar. Moishe’s offers 24/7 surveillance, and security checkpoints. We don’t just care about storing your items; we also care about keeping them safe for you. Our commitment to quality and security are just a few of the reasons why Moishe’s Self Storage offers some of the most outstanding self storage units Bronx can offer. Contact us today to learn more about our affordable prices and services within Bronx and the surrounding area.